This last election was enough to make a grown conservative cry. Now I have to fear the fiscal cliff, a depressed economy and four more years of his incessant pontificating, sneers and arrogant strutting. As an aside, my fantasy football team is named the Harlem Stride. 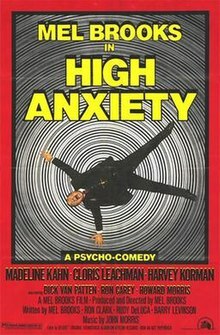 With apologies to Mel Brooks,and Stanley Kubrick, the dominant emotion in my life has been a high anxiety. I think this has been true since even before I was born at St. Vincent’s Hospital in Greenwich Village. 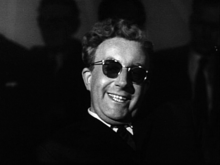 I was born in the middle of the war…well that was chronological…not locational. My mother’s brother left for the Pacific in 1942 and didn’t return until late 1945. I think she was terrified that as a little boy, I would have to go off to war some day. She always told me that she wanted a girl for that reason. Maybe that anxiety was fed to me in utero. She did everything to protect me–but even though I have cute legs, the little dresses were a bit too much and I started to fear her handling of any kind of cutting instrument. 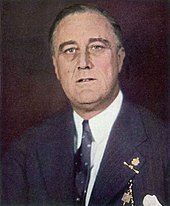 At the outset of the Great Depression, President Franklin Roosevelt stated that all we have to fear is fear itself. I remember at Holy Cross they gave us a personality test. There was a category on it about “fears and I must have checked every box because while the average man had 3.2 fears and the average woman 3.5, I had something like 30 or 31. Over the years I grew to fear any sort of testing because as soon as the results were in, I had to go see some doctor type with several initials after his name. There is even a word to describe me—panphobic! I think I came into this scary world in fear and trembling. I could have been the model for Edvard Munsch’s heralded painting The Scream. If a coward suffers a thousand deaths, I must have shot close to 600 by now. It was probably because my dad was a physician. I could get all my diseases for free. I spent many a furtive moment perusing his old medical books. 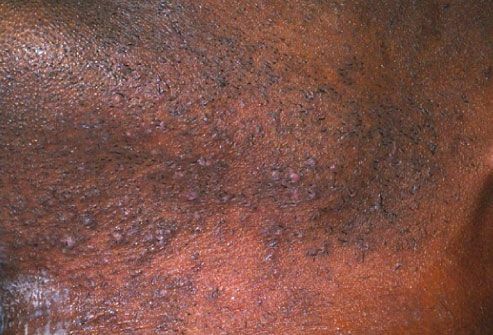 Gory pictures of skin diseases and physical deformities shocked me with morbid fascination. I just knew I had this! I nervously compared my body with these pictures to see if I had any of the illustrated diseases or conditions. My dad also used to give me cold shots, four times a year. He would get the vaccine, two days in advance, allowing me ample time to agonize over the syringe, glistening with menace in the refrigerator. The torment of anticipation was worse than the actual injection. Vietnam took a heavy toll on my psyche. I didn’t trust the politics of the war, especially LBJ. Essentially 58,000 Americans lives were sacrificed for…what…I still don’t quite get it. Oh, I would have gone had my number ever been called. But the Navy…not the Army and certainly not the Marine Corps. And of course anything where I had to go up in a plane was definitely out. There was an article in Esquire Magazine that listed 22 Ways to beat the draft. I only remember two–eating a lot of salt before the physical. My natural anxiety would probably have worked even then. Today they would immediately make you an officer. As an adolescent, many things scared me besides needles and infectious diseases. We had the bomb to worry about. My school had periodic air raid drills. 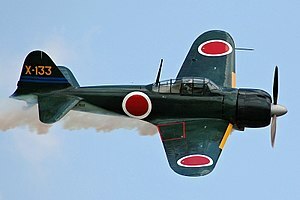 I envisioned some Japanese fighter plane strafing me in the schoolyard. How did I know the war had been over for seven years. Heights have always been a problem. Every time I go to a sporting event and I have to sit in the upper deck, my head starts spinning. Unless someone is sitting directly in front of me, I feel I am going to fall over the edge. I have been to the Seattle Space Needle. I needed two stiff drinks just to stay up in their restaurant. The Toronto CN Tower was even worse since it is a lot higher and the drinks much weaker. My crazy nephew, David was jumping up and down on the thin plastic partition that separated us from a 1200′ plunge. That’s why I don’t like to fly. It gets very high when you are suspended in the air in quiet desperation. I was terrified of flying, long before the attacks on 9/11. We cancelled a number of scheduled flights right after the attacks. Take-offs are especially terrifying to me. It is the inverted position, plus wind shears and maybe an errant missile or exploding shoes or underpants that give me fits of anxiety. To me a plane is just a large coffin with food service. Opps, that’s not true any more. They have all eliminated the last meal. Now that Y2K is passed, I can start worrying about Y3K. I have only had one major surgery and that was for a dislocated shoulder after a headfirst dive into second base. I fretted so much over the operation that six months later I was diagnosed with high blood pressure. I went to a shrink to determine the cause of my anxiety. Just before he committed suicide,–he really did–no joke–I learned that the fear of death was the root cause of my anxiety. I later read of a study that reported that the number one fear in America, was not death but public speaking. I wondered what was number two–the fear of dying while speaking in public? It is no wonder I am afraid all the times. 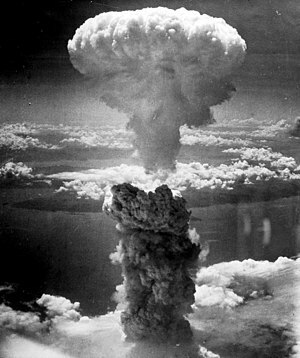 I grew up in the era of the BOMB! Nuclear holocaust was an ever-present reality. It is no wonder that they called those days, the age of anxiety. I don’t think i have ever gotten over it,. I have stopped reading the newspaper and watching television. The news is just too scary. People are dying all over the place. Our water has arsenic in it. I am afraid to open my mail. Alar, whatever that is, infects our apples. Cell phones cause brain cancer. Everyone on the highway is an escapee from a mental ward. Or they are apparently texting their last will and testament. I have heard of sexting. The rain forests are dying. Should I send flowers? Global warming will burn us up. The ice age is coming and we will have a nuclear winter in July. Please somebody stop the world I need to get off. It All Started with Roosevelt—the Other One! What is wrong with the Republicans? I think it all started with Roosevelt. No, not FDR–the other one…his cousin Teddy! Republicans, especially those in the Establishment and we all know who they are, have been having a field day in the post-mortem of their potentially devastating loss in the 2012 presidential race. They have been blaming conservative thinking, the Tea Partiers, and talk radio, especially Rush Limbaugh for what has become a regular quadrennial exercise in lost opportunities. This is a pattern that I thought dated back to 1964 when Barry Goldwater suffered one of the worst defeats in Republican electorial history. 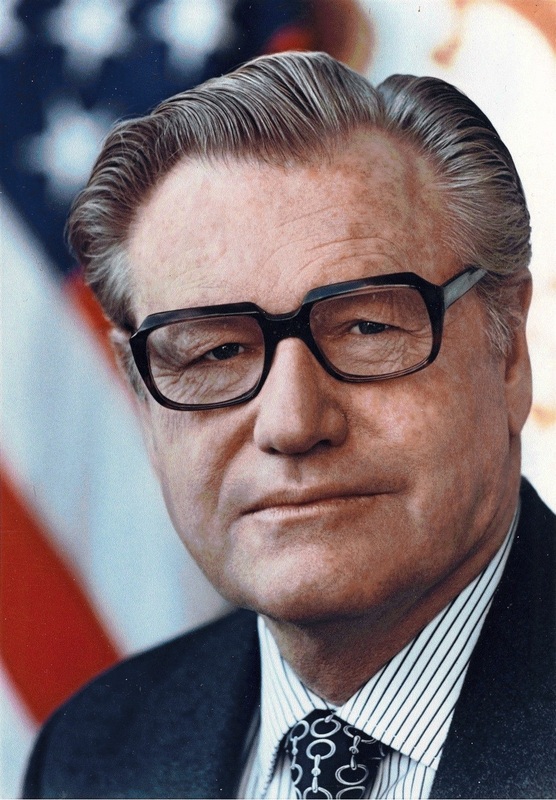 That year there had been an ideological split between New York liberal governor, Nelson Rockefeller and Goldwater’s libertarian brand of conservatism–which to my consternation later included gay marriage and abortion rights. That division has carried on its diverse history ever since with the establishment usually offering up so-called moderates such as Bob Dole, John McCain and both Bushes. The only exception has been Ronald Reagan who energized and greatly expanded the base given to him by Goldwater. But the price of at least six of the best years in the 20th century was unfortunately 12 years of the Bushes with their water-down conservatism that underscored the Republican establishment’s marriage to the big government policies of the left. Thanks to George W. Bush and his fellow Republicans’ abject failure to defend the charge that BUSH DID it!! we now have to suffer eight, not just four years of Obama. Glenn Beck was notorious for his laying all the blame of Big Government on Woodrow Wilson’s doorstep. As one of the originator of the Progressive Movement, Wilson certainly was a reliable and a viable proponent of the first real inroads socialism made in American political history. But few realize that his election would have probably not have happened had the other Roosevelt, Cousin Teddy bolted his party because he was as mad as a Bull Moose. 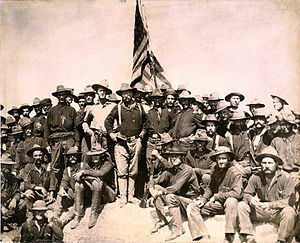 Roosevelt was indeed mad, bordering on lunacy in some dramatic ways, like his reckless charge up San Juan Hill during the Spanish-American War in 1898. Historians tell us that since he was extremely near-sighted, he had 22 pairs of replacement glasses sown into his military tunic. It was well-known historian Richard Hofstadter and others who wrote about Roosevelt decided role in as a progressive Republican, motivated by the spirit of the times, wafting over large urban centers in the country. In his confusing and somewhat contradictory book, The American Political Tradition (1948) he laid out an account on the ideology of previous U.S. presidents and other political figures. He knew that Roosevelt despised the rich Hofstadter had the temerity to write that TR was conservative frightened by any sign of organized power among the people. This sounds like pure baloney to me. This is all a little too much to take given his real history. 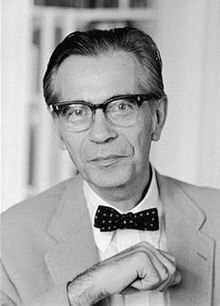 Without even realizing it, Hofstadter underscored the elite sense of entitlement that has characterized liberals and progressives ever since. They despise all the people less fortunate and not as well-educated as they. They believe that their role is divest the wealthy of their money and power and keep the people enslaved in their dependence on government. 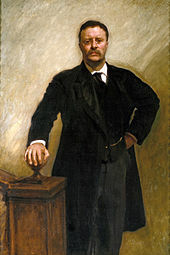 It was his 3rd party challenge to President William Taft, whom he had chosen as his own successor in 1908, that had guaranteed a narrow victory for the naive and inexperienced Wilson. When Republican operative Mark Hanna first heard that William McKinley had been assassinated in Buffalo, New York on September 6, 1901, he quipped in disgust That damned cowboy is in the White House! As president Roosevelt demonstrated a penchant for being anti-big business…not unlike Obama. He strove for more government regulations and was the nation’s first environmentalist. Like most of his patrician class, Roosevelt believed that he had a moral obligation to help the poor and unfortunate and to legislate their behavior. This was out of what the French called, noblesse oblige. In a historical synthesis that would have had the approval of both Hegel and Marx, Roosevelt led the fight to turn Hamilton and Jefferson on their heads by using the former’s emphasis on big government to ensure the latter’s emphasis on better condition for the poor and the common folk. This approach served to revolutionize American political history. In doing so it set the country on the dangerous course of state socialism with many Marxist overtones and policies. Richard Zachs’ portrayal of Roosevelt in his recent book, Island of Vice, detailed TR’s contentious battles as New York’s Police Commissioner to clean sin-loving New York City’s lewd underbelly. Roosevelt’s demeanor betrayed that self-righteous moral arrogance that still runs through liberals in both parties today. As governor of New York, he boxed with sparring partners several times a week, a practice he regularly continued as President until one blow detached his left retina, leaving him blind in that eye. A fact not made public until many years later. A health culturalist because he was sickly as a child, TR practiced judo attaining a third degree brown belt and continued his habit of, like Quincy Adams before him, skinny-dipping in the Potomac River during winter. In a speech delivered after leaving the Presidency in August 1910, Roosevelt introduced the phrase Square Deal to describe his progressive views . In his broad outline, he stressed equality of opportunity for all citizens and emphasized the importance of fair government regulations of corporate ‘special interests’. Doesn’t this brief outline sound familiar? Running through it is a complete lack of respect for people’s freedom and their own abilities to run their lives without government interference. Historians credit Roosevelt for changing the nation’s political system by permanently placing the presidency at center stage and making character as important as the issues. Roosevelt failed to understand the people he sought to save from themselves didn’t want or ask for his help. As it is today, people like this usually make things worse for everyone. He brought this same attitude to the Oval Office as president. 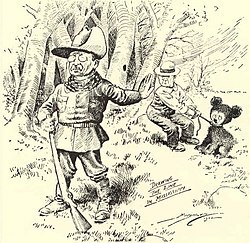 Thanks to Theodore Roosevelt and his Teddy Bear morality we now will have to endure another four years of this expansive approach. If the Republicans listen to their establishment leaders they will be doomed to follow the same destructive path. Just look what the Republican leadership did to Rep. Todd Akin in Missouri. Had they grouped behind him after he apologized for his gaffe, there was a better than 50% chance that he would have unseated the out-of-touch with Missouri Claire McCaskill. As it played out she won in a landslide after inundating the state with ads that did nothing more than play clips from Romney, Rove and other establishment leaders condemning their fellow Republican. This was a breach of the Party’s own 11th Commandment that Ronald Reagan spoke against. In effect Akin lost because of the ghost of Teddy Roosevelt. If they don’t change their attacks on conservatives, undoubtedly they will go the way of the Whigs, a party that lost sight of its origins, its history and its purpose in life. 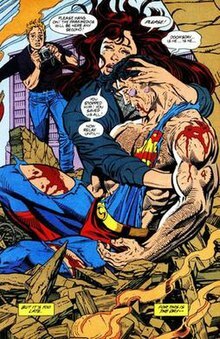 And maybe that’s what should happen to these moderates who are useless in a time of political crisis. I know a lot of people figure they can endure another four years of this president and then breathe a sigh of relief when he will finally vacates the Oval Office. After all didn’t he say, even before the voting, that this would be his final campaign? However he didn’t say it would be his last election, just his last campaign. In actuality Obama has never served as a real president. While he may have been present for four years,but that’s not what being a president means. He is supposed to lead us…from the front not from a safe haven in Chicago or Martha’s Vineyard. He was too busy with his nine-year campaign for the White House. Now that he has finished his last campaign, will he actually lead us? Will he compromise with the House of Representatives and save us all from the financial cliff? Since conservatives have already been over an electoral cliff, I can only imagine what the other one will feel like. 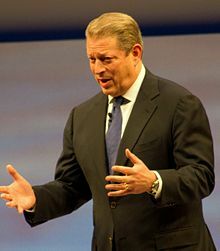 I certainly hope he can compromise but as Al Gore once said, can a Zebra change its spots? He looks down on all achievement and despises the human spirit that wants to be free to pursue their own happiness. This man is such a narcissist that he feeds off the rush of the power, and the pomp and circumstance of being our president. I don’t see his giving it up easily. But you say that can’t happen. We have the 20th amendment which limited a president to a maximum of fewer than 10 years. Obama is on record as saying that Constitution puts too many limitations on his ability to perform the duties of his office. He told us that four years was not long enough to undo the mistakes of the Bush years. He needed a second term. Does anyone really think he can turn things around with the same policies that acerbated a bad situation in 2009? He will need years after that but the Constitution will get in his way. If it does will he announce a gridlock and have himself elected by mandate from the people, supported by federal troops if necessary? In others words, things may be so bad and violent that he may declare marshal law. That just can’t happen here! I harken back to the election of 1860 when President Lincoln had to take all kinds of extra-constitution actions, such as the suspension of habeus corpus and the like to preserve national order. I fear this election will have a similar impact as the one in 1860. I say that because it exposed the fatal flaw in what used to be a representative democracy, but has now crossed the line and become a full-fledged democracy. The inherent weakness in that is when its politicians have no scruples they will buy their repeated elections by giving people what Bill O’Reilly simplistically called giving lots of free stuff. Rush Limbaugh said the free stuff came from Santa Claus. We have already crossed that line when candidate Romney warned inadvertently about the 47 % of the American people who depend on the government largesse for their survival. That percentage is higher and more than 50% find themselves dependent on the federal government. 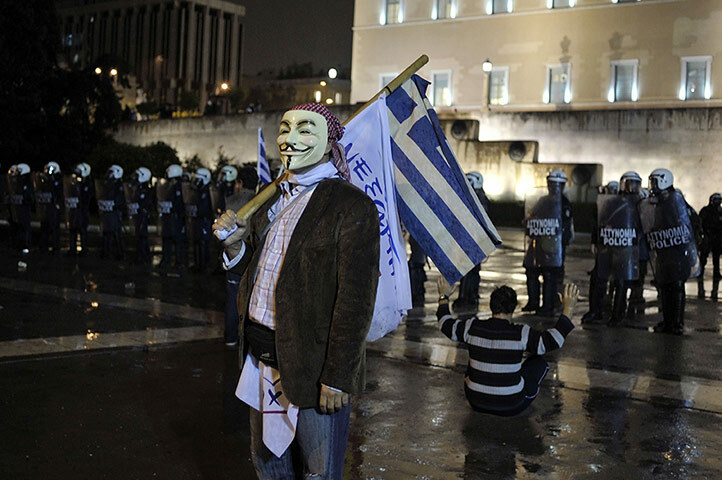 When more than half of a country’s population lives at the expense of the taxpayers and producers, it is a sign that the country is in danger of following the Greek model. Now these entitled citizens will continually vote the same people in each election, because they have been to quote a lady friend of mine, babyified, that is, treated as if they were children. This is true because Obama has never inspired them to be all they can be, because he has no faith in people’s ability to help themselves. And if they could or even tried, he would be out of a job. Democracy then can ironically quickly become a nail in the coffin of self-government. This could also be the last campaign because Obama won this one handily because of his background as a community organizer. Obama internalized Saul Alinsky’s Rules for Radicals to the letter. Romney never rebounded from the thorough demonization Obama laid on him in April. 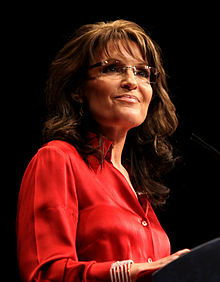 Sarah Palin should apologize to Obama for demeaning his abilities for setting up and maintaining a viable organization that was responsible for producing an amazing ground game. His people’s superb use of technology in identifying and herding out the vote was pure 21st century. 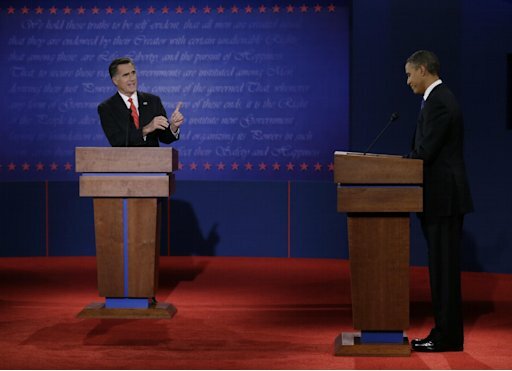 When coupled with early voting in 30 states, it was a one-two punch that connected on the Romney camp’s chin. I nearly got into an argument with a guy in line on election day. He said that Missouri needed early voting. I said that it was fraught with danger. I thought the fraud possibilities were just too great. But my real concern should have been for giving many more days to muster and transport the troops from their homes, dorms, street corners, factories, and drunk tanks to the polls en masse. When limited to a single day, there is only so much your boots on the ground can do. Stretch that over several days and the results increase exponentially. Just ask yourself, who won the early voting? Obama did by a very large margin that Romney never could overcome in Ohio, Florida and Pennsylvania. But the deciding factor and this is true of most democratic mobs, err voters, was their ignorance factor. The exit polls showed that a strong plurality thought economic issues were paramount. This should have translated into an easy Republican victory. Then how did Obama win on the economy? That makes two elections that he has cost Republicans and he wasn’t even on the ticket. 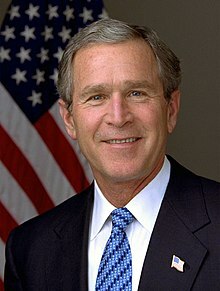 But how could Bush have done this? Tax cuts? They have never caused a recession. In fact they often have avoided severe economic down-swings. Granted a lot of money, not to mention lives, were sacrificed in the name of freedom and democracy but that’s not it. The best answer for the stock market crash and the ensuing recession was a housing crisis. And who was accountable for that? 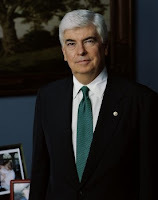 Christopher Dobbs, the former Senator from Connecticut and Barney Frank, the homosexual representative from Massachusetts, were the main architects of the Great Recession. Through Fanny Mae and Freddie Mac, they forced millions of improvident loans to poor people, who did not have enough income to pay their mortgages on the American taxpayers. Banks and brokerage houses, who investment income was plagued by low interests created a series of creative investments by bundling all kinds of home loans and selling them as investment. When the value of many of these homes declined to a value less than what the owner owed to the banks and houses. This caused people to default on their loans and left the banks holding a diverse portfolio of good assets mixed in with some bad assets. According to the existent regulations in such cases—mark to market they call it–all the investments had to be regarded as worthless. This caused a downward spiral where banks could not keep up with their reserve payments and the markets collapsed. It was not George W. Bush but a pair of unscrupulous Democrats who mandated that banks comply with their nefarious philosophy. No Republican has ever defended George Bush and in not doing so they sowed the real seeds for Romney’s disappointing loss. This was simple Econ 101 and the Americans don’t understand a thing about business, commerce and market forces. They think government creates jobs–work maybe but real jobs come from the private sector. They don’t understand that taxing capital hurts investment and prevents or discourages risk-takers from a real investment in America. Again no Republican sufficiently taught this to the American voter. 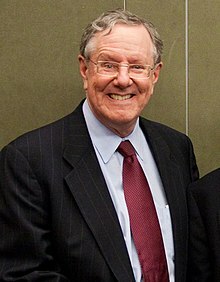 Steve Forbes is already predicting a Recession for 2013. When ObamaCare kicks in full force in 2014 there probably will be another one. The American economy will probably stagnate under these Obama negatives until the next decade. Maybe that will be good news. Without any more campaigns we will be spared the interminable flurry of robo-calls that have disturbed us for 18 months. That has to be some kind of silver lining. 12) The only thing she needs to hear is what time next week. I asked a rhetorical question to introduce my Sally Field post. Today as I try to control my nerves some hours before the games begin tonight, I have another relevent question. Why has the media protected this president so much more than it has Democrats in the past? I know the man loves basketball but his idea of a full court press is just over the top for me. They used to call Ronald Reagan the teflon president because the barrage of assaults on his every move failed to stick to his reputation…no matter how hard they attacked, prevaricated or distorted. Where are all the clever names for this president? How about the kryptonite president? I mean this president was said to have had special human powers—-he was the best and the brightest of all past presidents…bar none. He could leap mountains of left-wing legislation in a single bound. He could stop a speeding Republican agenda with an executive order. The only thing missing was his phone booth and colorful tights. So just why has the mainstream media given him a virtual free ride. Will the voters summon kryptonite this week to end the Obama Presidency? Will the president ever be defeated? Has it been because of his innate goodness? Didn’t he come to save us from ourselves and those rascally Republicans who want to starve and maybe eat our babies, poison our water, bury the middle class and balance our budgets? This man…bar none except Lincoln and he had to die to warrant a hagiography–was draped in regal and even messianic imagery. 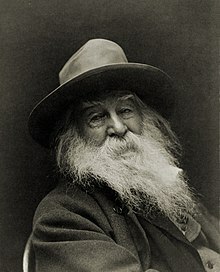 All that is missing is a Walt Whitman epic poem to lionize him. I can hear it now—Oh my emperor…oh my emperor!. But back to my original question…why do they protect him so blindly? Just look at the Libya cover-up! Can anyone imagine Woodward and Bernstein looking the other way for two months? Are there no real journalists alive…only political hacks? Do you think it is because Barack Obama is…I dare say it…a black man? Has presidential politics descended into the nether land of affirmative action? And if so doesn’t Obama’s four years underscore the abject immorality of such an idea where accomplished people are discriminated against just so unqualified people can have a chance to ruin things for the majority? And they do this all in the name of equality! This of course makes politics something akin to participatory democracy. I remember my only trophy as an adolescent was for baseball. It was a participation trophy. They gave it to me because like the other members of my team, I showed up with spikes and a glove…or should I say a MITT? I think I still hold the school record for errors in a game at third base–five. The only difference is that once the minorities assume the power they don’t want to give others a chance. Obama doesn’t realize his participation is no longer desired. And why do they call it a race card? Does it have the same amount of moral authority as say a get out of jail free card from Monopoly? I still carry one around with me because you never know when you will need one since we have so many laws and regulations to obey in Obama’s America it might come in handy some day. Why are so many Americans so afraid of this card that apparently belongs to no real game? Unless it is the game of Life in Obama’s America? Could it be that all liberals are by definition negrophobic? By my definition, a negrophobe is someone who fears that all other Americans especially conservative white ones are racist and want to bring back slavery. But in truth just which political party has done the most harm to black people? I have already mentioned several times in this space what Lyndon Johnson and his War on Poor People did to the black family. Wasn’t it the Democratic Party that gave us slavery and over a 100 years of racial strife and violence? I might add that it is not surprising to me that the Democratic Party also is the party of abortion. I suggest every one read, no matter what the outcome of the election was– Ann Coulter’s latest book, Mugged, which is a history of the Democratic Party racial demagoguery from LBJ to Obama. She recounts hundreds of incidents and long-standing attitudes that illustrate just which Party has been fairer in its treatment of black people. Abortion is just another of their fun and games with human life. What do abortion and slavery have in common? Well both were considered a right. In the antebellum South there were states rights. One of which was the right to own property. Ironically if it had not been for the common man drive of Founding Father, and slave owner Thomas Jefferson, the basic trinity of Americans’ constitutional rights would have been life, liberty and the right to own property. But this raises the question as to what can and cannot be considered as property? Jefferson optimistically substituted the more generic pursuit of happiness for property. I look at abortion as a property right akin to slavery. 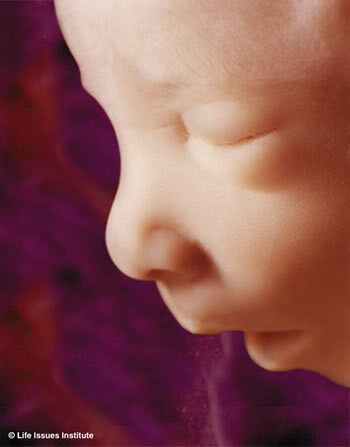 The unborn baby is still attached to her mother’s body. Many mothers interpret that baby as my baby, which implies a special kind of proprietary suzerainty of life and death over that child. Even born children seem to fall under the general heading of property. A 21st century property right? This is certainly consistent with the creeping socialism that has until recently quietly pervaded the most basic institution of our culture. And what is the relationship between a social democracy and its people? In a Republic the state exists for the good of its people. But contrary to that in a Social Democracy–what Obama supports— the people exist for the good of the state. In their mind people are fungible and only important in numbers, whether votes, demonstrators or taxpayers. It is the state that decides who is needed or valuable and who is a drain on the government largesse. This is so much easier on the leaders now that science has infallibly discovered that man has no soul and is not much more than a bodily machine. If you have value or merit or maybe just know the right people, there will always be a place for you in a social democracy. 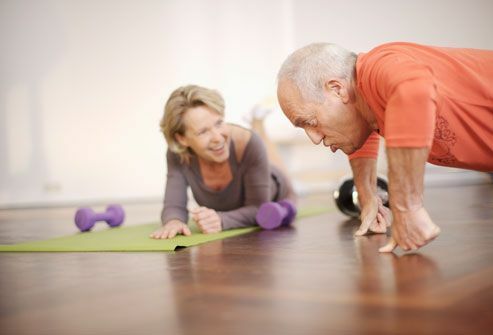 Become unproductive or even just old and it is off to the gulags or the eternal sleep chambers for you. By the time most of you will read this, we should all know if we are going to get to enjoy four more years of Democratic fun and games or work hard at digging us out of the Democratic hole. I always felt sorry for Gary Burghoff. He’s the actor who will always be affectionately known to the public as Radar O’Reilly, the gnome-like character with telepathic attributes on the 13-year run M.A.S.H. years ago. The same might be said of pixy actress, Sally Field, who for a few years played the imaginary role of the Flying Nun. While she had a more productive career after she put away her wings–winning Academy Awards for Norma Rae in 1979 and Places in the Heart in 1984, it was as the Sister Bertrille that she first captivated the imagination and the affections of the American people. I must admit some of those headpieces–the heavily starched cornettes that her Daughters of Charity wore—looked aerodynamic. This is actually a misquote that even Field has come to parody over the years. To me that raises the question as to what makes a public figure likable? It also raises an auxiliary question about how necessary being likable is to being an effective public servant or in the case of President Barack Obama, President of the United States? I will also tack on another auxiliary question that stretches my incredulity…just what is so likable about this president? Is it because more people compare him to a rock star than a leader of nations? Is it because he’s great at frolicking with the likes of Letterman, Leno and Jon Stewart? How does help him the leaders of Russia, Israel and Saudi Arabia? Did the Queen faint in some sort of girlish swoon? I really don’t understand why so many people like him! I wish someone would explain his popularity to me. To date I have read about 10-12 books about him. Granted most of them were negative but they did try to fill in the enormous gaps in his personal narrative, especially David Maraniss’ favorable portrait of his families, adolescence, travels and the people he went to school with. One curious fact that was rather strange–Obama was the only member of his high basketball team at Punahou, who could only dunk a donut. I guess that’s what happens from being a haga–a biracial child. As friendly as Maraniss’ book was, the Obama in it comes out as distant, disconnected, almost to the point of being aloof. His personal distance from other people was founded, not on a native shyness but on a supercilious attitude of being above the din on an intellectual and a human level. He was then and still is today living behind an impenetrable facade that shields his real persona from the American people and maybe many of the people around him. On the campaign trail he adopts the characteristics, including the argot of the people so that they may think that he is one of them and because he can speak their language he understands their needs and their fears. To me it seems all pretense…like a big act and that he is the lone voice of salvation on a stage with and adoring crowd waiting for his next verbal sanctified proclamation. He never seemed to be the life of the party even as a teenager. I see little of his ability to be folksy, entertaining or even charismatic. His family in Kenya were from the Luo tribe, outsiders to the dominant tribe. Columnist Peggy Noonan recently emphasized his dependence on his ubiquitous teleprompter, which acts both as a shield from the public and as a security blanket that prevents the real Obama from oozing out. She called it his umbilical cord that provided nourishment for him. She also wrote that Obama did so poorly in the three debates–I would also throw in the Al Smith charity dinner in New York City before the third debate— because he could not keep his real nature from exposing itself on a stage that he had to share with his formidable opponent, Mitt Romney. While Romney always looked more presidential and even charming, Obama could not hide his contempt for the former governor and everything he stands for. It was as if Obama resented Romney or anyone else for having the effrontery to even challenge him for the office he was destined to change beyond recognition. The disdain was obvious in all the debates. Attacking Romney’s veracity, his character, his business acumen, his ability to think have been the staples of Obama’s road to re-election. I will cite his recent interview in the Village Voice to demonstrate how Obama holds Romney in profane contempt by calling him a…if you please excuse the expression a bullshitter. Now that expression has become standard at college football games, conversation usually between men and sometimes Obama girls, who need their prescriptions filled on the house…the White House. But I don’t think there ever has been another example of a sitting president using such an expletive with relation to a fellow candidate whose only crime is having dared to challenge his reign. Maybe LBJ did but I can’t think of any–there was that quote that he once told his advisers that Gerry Ford could not walk and …at the same time. But I don’t think that was to any reporter who was interviewing him. Harry Truman did threaten to rearrange Washington Post music Critic Paul Hume’s manhood for him. This had nothing to do with politics…only his daughter Margaret’s professional reputation. So this was a new level of contempt. But it does go along way to show us the real Obama and he is not at all likable. He made the above reference while talking about kids…all kids know a bull…. when they see one. That’s a sick connection if you ask me. I wouldn’t let him babysit my grandkids as much as I would let Bill Clinton hang around my wife. Noonan also quoted at length from Bob Woodward’s largely ignored book on Obama, The Price of Politics, which describes the president as someone who is over his head, out of his depth and wholly unaware of the fact… Woodward paints Obama as not quite a nutty professor but closer to one who is absent-minded as to what it is he is supposed to be doing. This rock star of a president is used to being catered to…told he is some kind genius…a royalty of intellectuals and nuanced-thinkers. It sounds as if he believes his own rhetorical hype. As for getting along with Congress, Obama misread Republicans since he reminded them that “hey I won the election” and you didn’t. Speaker John Boehner hates to go to the White House because of the president’s affinity for lecturing people from behind his teleprompter, which must substitute for any real thinking on his part. What we have seen lately from the president is really what we have gotten the past four years…only most people never knew it…only those around the president. Now the world knows what a small person he is…deeply flawed as much if not more than most men. This is not a nice man…let alone a likable one. What he needs and quickly is for Sally Field to take out her cornette from its storage…hit it with some starch and fly a few laps around the White House, sprinkling angel dust as she goes by. I just hope the Secret Service doesn’t shoot her down.